Fuel has been a major worry for the car and bike owners - specially in poor countries. Although hybrid solutions provide some relief when plying at lower speeds, but these do not have an answer at higher speeds or on the long journey. But perhaps we have a solution - a cheap one: Running machines on water. 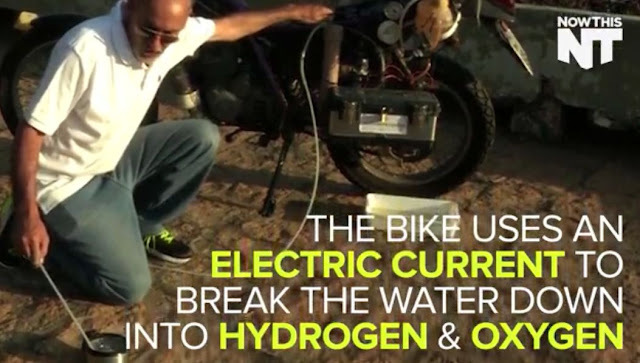 Yes, a Brazilian has found an easy way out which gives him 300 miles of running on his motorbike from one litre of WATER. How does he do it is simply amazing, using a little bit of knowledge from his son's chemistry book.